A penguin pickets to preserve his Arctic pals; his sign (and his fishy companion) say it all. 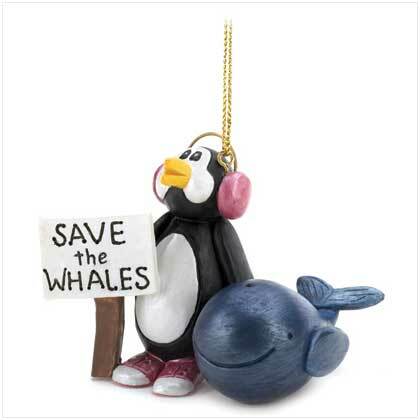 A message worth repeating: Save The Whales! Loop at top for hanging. Resin. 2 3/4" x 2" x 2" high. Retail Price: $7.95.